What is your favorite part of BJJ? I like to learn self defense and it's a great contact sport. What do you do for fun? Besides Jiu Jitsu, I like to play soccer. What's your favorite thing to do at school? I like to play with my friends and I like Science. What are your Jiu Jitsu Goals? I want to be unstoppable, train hard, become a black belt and get as much knowledge as I can. 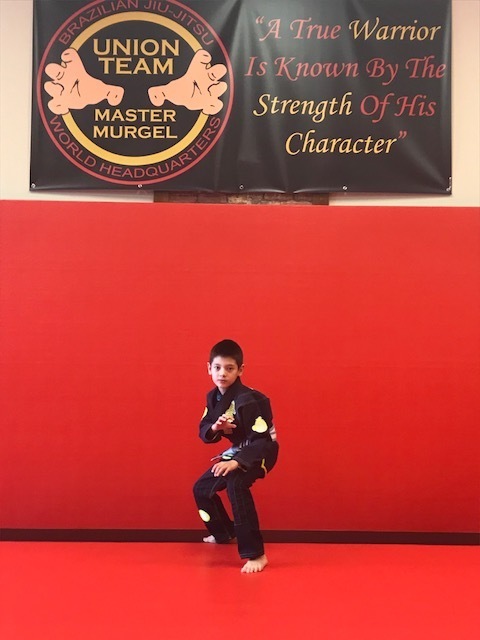 What have you learned from training with Master Murgel and Coach Nick? I've learned submissions I wouldn't have learned anywhere else. What do you want to be when you grow up? A world champion in Jiu Jitsu, an Astronaut, Teacher and Paleontologist. What would you tell a friend who might be interested in trying BJJ? It's fun and you'll probably like it alot. There's no punching or kicking but you'll learn lots of submissions and movements. Be careful and tap early.